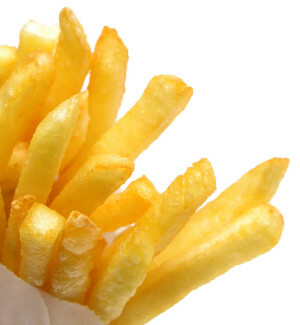 A fluorochemical-free, oil and grease resistant paper designed for food service and quick serve restaurant (QSR) applications. Acadia® EcoBarrier is an oil and grease resistant, uncoated, machine-finished paper manufactured without the use of fluorochemicals. 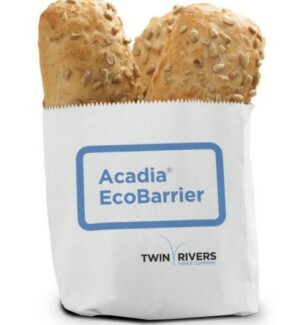 Offered in a range of basis weights and available up to KIT 5, Acadia® EcoBarrier provides a sustainable OGR paper option for a wide range of packaging applications in the QSR and food service markets. 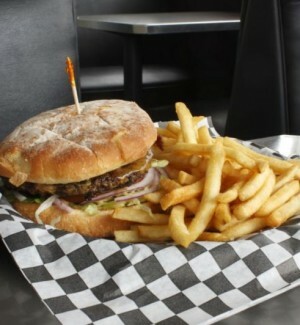 Acadia® EcoBarrier is custom designed to meet the needs of individual customers. Please contact us to discuss your specification requirements. 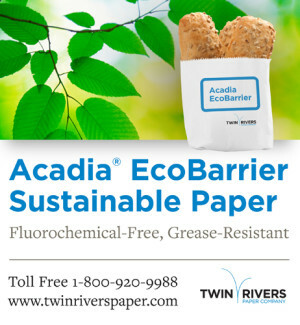 Contact Us for More Information on Acadia® EcoBarrierDownload a Specification SheetWhat is Kit Testing? Download our White Paper for More Information.